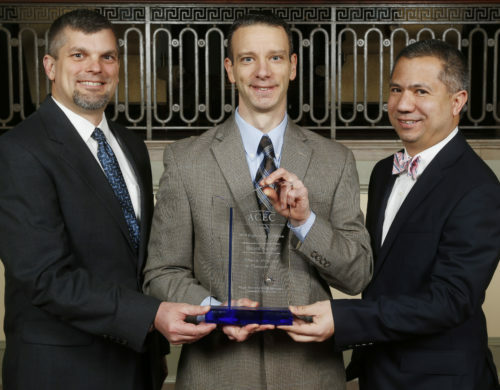 JMT’s work on multiple projects was recognized as part of the American Council of Engineering Companies/Virginia’s (ACEC/VA) annual Engineering Excellence Awards competition. The weight-restricted bridge crossings project in Chesterfield County was selected as a Grand Award and Pinnacle Award winner for the ACEC/VA 2019 Engineering Excellence Awards. JMT assisted the Chesterfield County Department of Transportation in successfully implementing a new bridge abutment testing process to allow all emergency response vehicles to cross three posted bridges. This resulted in a significant improvement to the emergency response times for millions of dollars’ worth of property and increased safety for those residents. Two other JMT designs — the Arch Road widening project in Chesterfield County and the Odd Fellows Road interchange at US Route 29-40 and road improvements in the City of Lynchburg — were selected as Merit Award winners.